Designer, Manufacturer and Installation of Unique Fireplaces and Heating appliances. Founded in 1982 Feature Fireplaces in Harrogate has established itself as one of the country's leading suppliers of traditional and contemporary fireplaces. Our North Yorkshire showrooms boast some of the UK's most leading designs and prestigious brands available for gas, solid fuel and electric. We are open Monday to Saturday, so simply drop in to discuss your requirements or browse in our showroom; we're always happy to help. Other Heating Services We don't just sell and install fireplaces; we offer a complete range of heating services including chimney sweeping, bespoke design, gas works and more. Fireplace Restorations If you have an old fireplace in need of restoration then we can help. We also have hundred of antique fireplaces in stock in our showroom if you are looking to add some character to a room. Welcome to fireplaces4life.co.uk the online discount warehouse where you can buy the latest fireplaces, fires and stoves at the lowest possible prices. By buying from fireplaces4life.co.uk you can save up to 50% off typical high street prices and have the goods delivered direct to your door anywhere in the UK. At fireplaces4life.co.uk we have over 50 years experience in the industry which includes wholesale and retail design, manufacture, installation of fireplaces, fires and stoves. This first hand experience enables us to give you expert advice so that you fully understand all the options available to you before purchasing. Our Mission To offer the UK's widest selection of top brand fireplaces, fires and stoves available online. To offer customers savings of up to 50% off typical high street prices. To provide customers with the highest quality products at the most competitive prices. 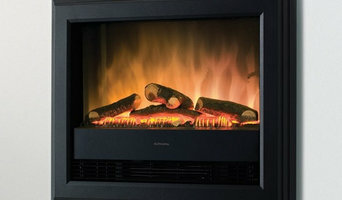 To establish fireplaces4life.co.uk as the UK's leading online fires and fireplaces retailer. To offer customers an exceptional level of customer service. To price match any like for like product. If you like our service and product tell others, if not tell us. Sherwood Fireplaces & Stoves Ltd / Brian Schofield provide a full fireplace supply and installation service to customers starting with a phone call / email enquiry , A survey will follow with brochures , samples and visuals of previous projects. All installations are project managed by Brian from start to finish. We're a woodburning and multifuel stove specialist. 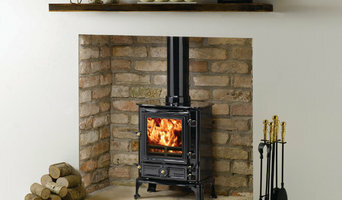 We supply, install and maintain stoves in North Yorkshire and West Yorkshire. We're not restricted to brands and we take full accountability. We have a small but comprehensive showroom and we provide an initial free design consultancy. We also supply and install fireplaces and gas appliances. The Stove Gallery offer the very best in traditional & Contemporary British & European made stoves, featuring classic & modern designs with great build quality which offer exceptional heat efficiency. Leading brands include: Clearview Stoves, Contura, Burley, Woodwarm, Stovax, Chilli Penguin, Mendip & Aga. 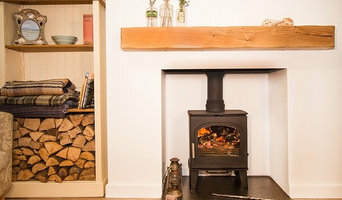 Based in Leeds, West Yorkshire, EMBERS has over 40 years’ experience designing, supplying, installing and solving problems associated with fireplaces and flue systems. We are a family business, passionate about providing excellent customer service and supporting the local community. We can supply a fireplace to suit every style and space. We also offer a full refurbishment service on original marble or slate surrounds. With decades of experience in fireplace supply and installation we can help you find the right style of fireplace to suit your budget and setting and help guide you through each step of the process. We offer the highest level of customer service – the key to this is listening to what our customers want and providing solutions to help them achieve this. We supply only the highest quality products and install them to the highest standards. Because we are experts in what we do, we can take on those more complex jobs. We supply a full range of accessories including coals, fireguards, companion sets and baskets available in our showroom. 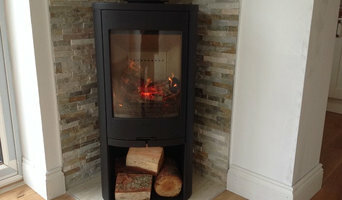 Purveyors and installers of quality wood burning stoves and fully automated wood and pellet heating systems. With over 15 years experience supplying top stove brands, with a huge range of wood burning stoves, stove accessories and flue products at great prices. We believe in giving great value for money, and our success has earned us nationwide recognition including a ranking in the Sunday Times Virgin Fast Track 100. In addition to our popular online store we have showrooms located across the North of England and a stove fitting service in England and Wales. Over the years we have worked hard to develop a friendly, knowledgeable team who are dedicated to giving you the best possible sales advice and after care. Robert Aagaard and Company was formed over 40 years ago in Knaresborough nr Harrogate, and today we are widely recognised as a foremost specialist in classical chimney pieces crafted in traditional wood, stone and marble. The precisely measured moulding and meticulously detailed hand-carved decoration are hallmarks of the very highest standards of craftsmanship, and duly reflect the immense pride taken in the manufacture of every Robert Aagaard product. Our design service faithfully emulates chimneypieces of the seventeenth, eighteen and nineteenth centuries. In addition we offer, from stock, antique chimneypieces in wood, marble and stone, along with cast iron basket grates, hob grates and other ancillary accoutrements. We also supply and install traditional stoves to modern stoves and contemporary glass fronted gas fires. Visit our showroom to view the great examples we have. Like a moth to a flame, people have been drawn to fires and fireplaces since the dawn of civilisation. That’s because they offer more than warmth; they are focal points and each fireplace is a gathering place. Fast forward to the present day and engineering has advanced to such a degree that some fireplaces roar without interruption, while others are smoke free. Arguably all have become personal style statements. In a world of dizzying choice – gas fires, electric fires, wood-burning stoves, multi-fuel stoves – you need a fireplaces showroom or fireplace installation specialist in Leeds, West Yorkshire to ensure you don’t get your fingers burned. Or anything else for that matter. Some fuels burn more efficiently than others in certain conditions. But it is also about the ambience that different fireplaces and stoves can create. If your chimney is functioning and the flue is in good working order then you might prefer a traditional wood-burning stove, log-burning stove or Victorian fireplace for your period property or cottage. Combined with a marble or stone fire surround, the latter will add a rarified sense of grandeur to any dining room or lounge, but it does take a while to get going. Ventilation is also an important consideration, as is practicality. You’ll be clearing away ash on a regular basis. First thing’s first though: check with your Leeds, West Yorkshire authority to see if you live in a Smoke Control Area – fireplace installation specialists in Leeds, West Yorkshire may also know this. Compact freestanding stoves, either multi-fuel, gas, oil or electric, have become very popular in recent years as homeowners try to rekindle the open-fire romance of yesteryear. But if efficiency, lower energy bills and fuss-free heating are more important, a gas fire scores highly, particularly the flueless gas fire variety, which draws waste gases out through a duct. You will also have much better control of the temperature. That said, the gold standard of sustainable heating and performance is the bioethanol fireplace – smoke-free, odourless and not a speck of ash to be seen. Meanwhile, fans of sleek and minimal design will melt away at the sight of a hole in the wall gas fire. These preserve valuable floor space, will comfortably heat a small living room and come in a variety of beguiling forms – a fire ribbon row of flames, a fire bowl or fire basket with pebbles. It’s like magic. Ask your fireplace installation expert in Leeds, West Yorkshire or local showroom to show you all of the different types so you can clearly see the difference. When considering your options, talk with your fireplace installation specialist in Leeds, West Yorkshire about the size of area you wish to heat, the current sources of heat (such as central heating), potential heat loss (through windows, for example) and degree of insulation. If your home is modern or well insulated it probably makes sense to choose a fireplace, fire or stove that works efficiently on a low setting to avoid over heating! Where can I find the best fireplaces, specialist fireplace showrooms and fireplace installation in Leeds, West Yorkshire? Search on Houzz for Leeds fireplace experts and showrooms in the Find a Pro category and then start collecting your favourite images in an Ideabook. Contact your preferred company for a free consultation in their showroom or at home. Many will be able to offer a comprehensive service, from consultation and bespoke design to installation and aftercare. Don’t run straight to the cheapest. Build up your knowledge and balance price with quality of design and service. 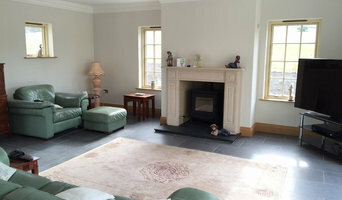 Search for fireplace showrooms and specialists that offer fireplace installation in Leeds, West Yorkshire on Houzz and see past projects, photos and reviews in order to find the best fireplace and professional.